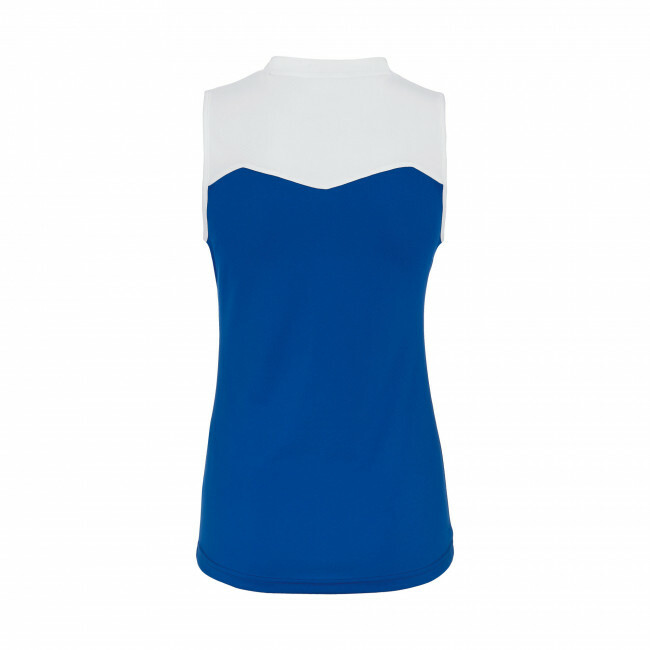 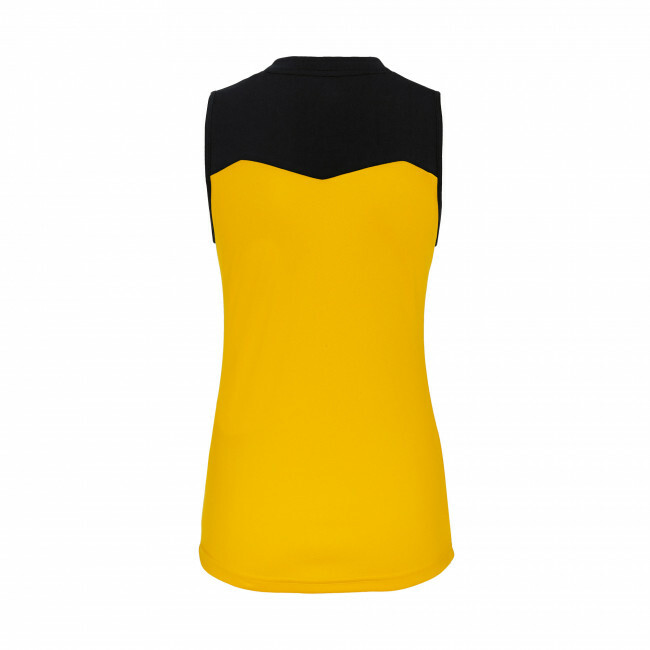 Sleeveless volleyball shirt for young women and girls. 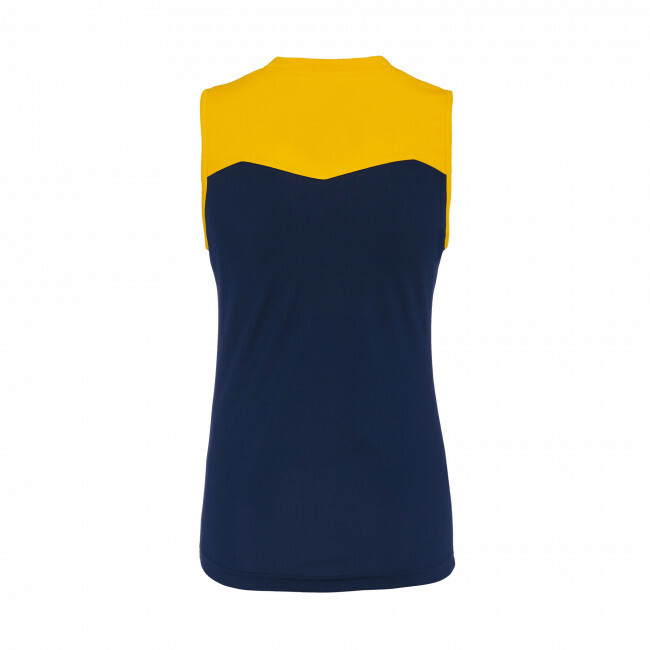 Perfect for competitions. 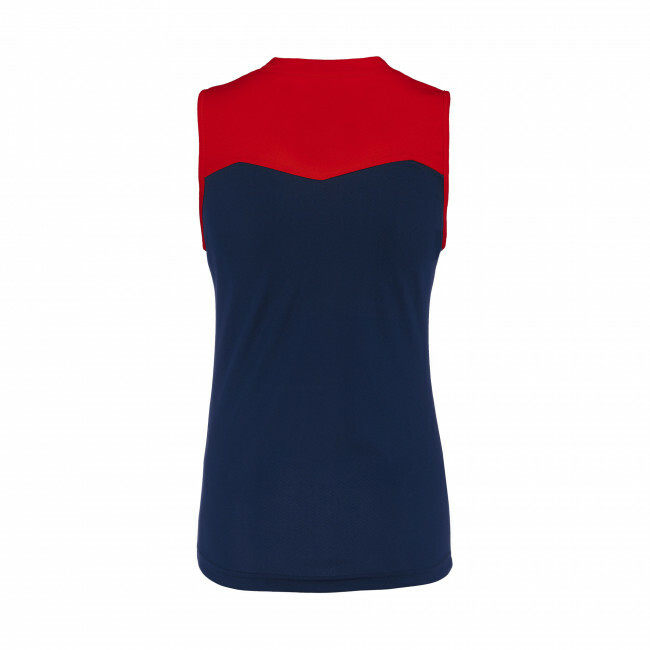 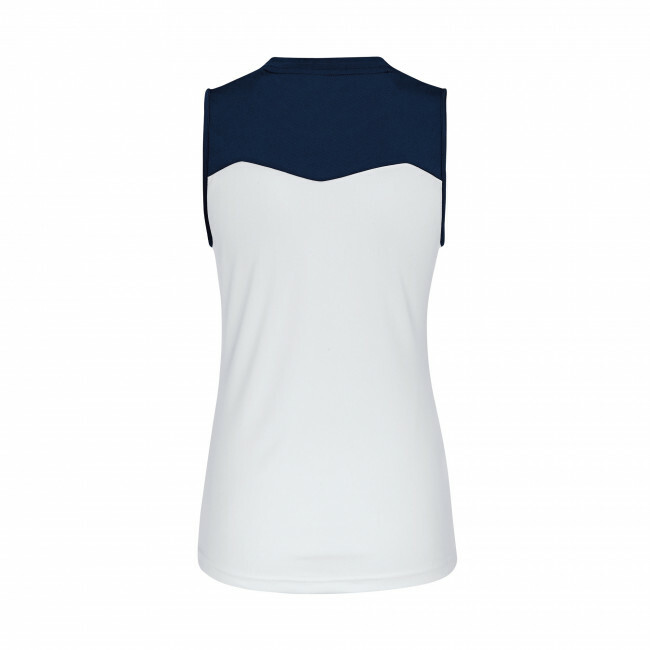 Glenda is an extremely stylish volleyball vest characterized by large colour inserts on the front and back with a line that evokes the Erreà logo. 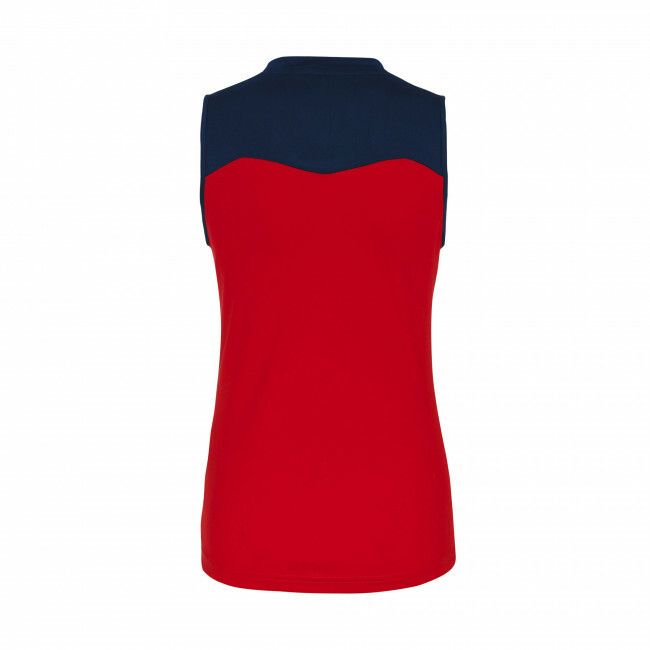 To guarantee maximum wearability and optimum comfort, this vest has been made from soft, breathable elasticated fabric with tiny holes that facilitate the rapid evaporation of perspiration. Your skin will stay dry even during the hardest fought matches and you will be able to bring all your energy and strength into the field thanks to this women's vest. Features: sleeveless; front and back inserts; available in many colours; rapid evaporation of perspiration; soft, breathable fabric; round-neck. 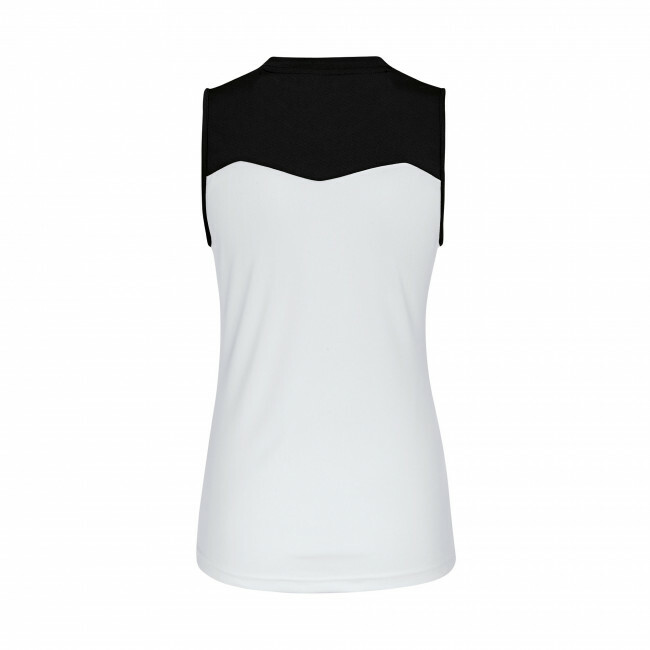 Semi-fitted wearability. 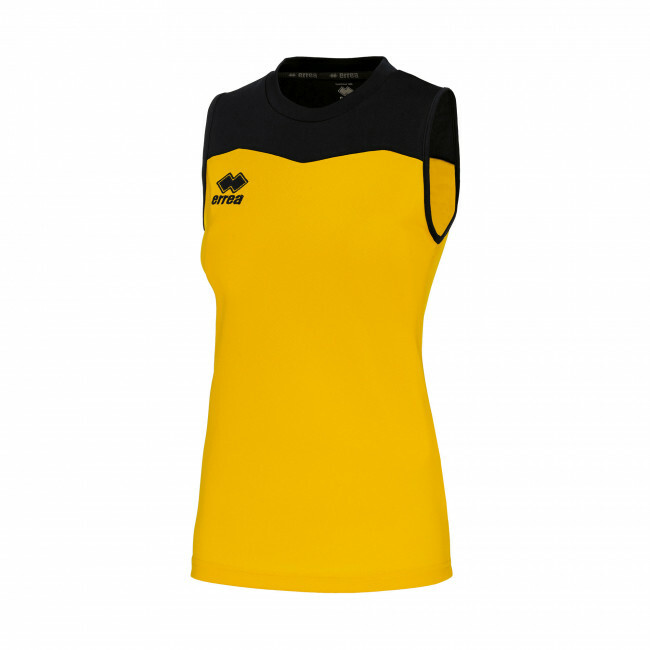 Fabric: Mundial.